St Modwen, the UK’s leading regeneration specialist, has been granted planning consent to deliver a new 40,000 sq ft store for national retailer Dunelm Mill at the Wheatley Hall Road site in Doncaster. 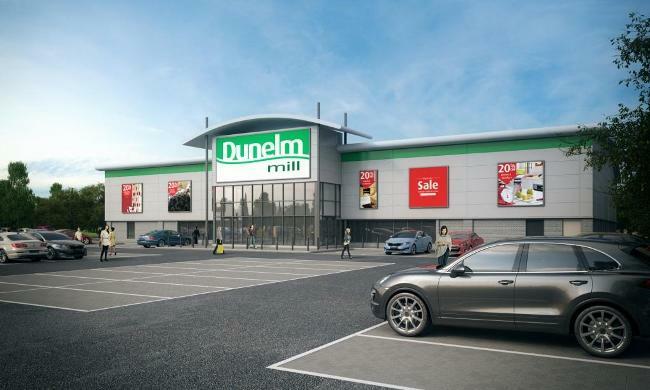 On completion, Dunelm Mill will relocate from its existing site at Thorne Road Retail Park to the new £3 million store. This will enable the retailer to expand its offer in Doncaster with the creation of new jobs for local people. Work is scheduled to start in the Spring, with completion due by the end of Summer. As part of the ongoing redevelopment of this 13 acre site, formerly occupied by Tyco Electronics, construction work has also started on a new Marston’s public house, which is due to open in six months. The new public house is part of St Modwen’s plan to bring much needed recreational facilities to the area and is expected to create around 45 new jobs. There will also be additional jobs created through the construction process of both buildings. We are delighted to have received planning consent from Doncaster Borough Council, which is part of our ongoing work to re-develop this prominent Doncaster site. We will continue to work closely with Dunelm Mill to ensure this new retail facility fulfils all their requirements. The regeneration of Wheatley Hall Road is progressing well and through the creation of new jobs is already having a positive impact on the local economy. In addition to the new Dunelm Mill store and Marston’s public house, we are bringing sports facilities to the area, this includes a ‘Goals Soccer Centre’, comprising of eight new artificial pitches.